Andrew Alexis, MD « Cosmetic Surgery Forum – Practical. Honest. Insightful. Dr. Alexis is the Chair of the Department of Dermatology at Mount Sinai St. Luke’s and Mount Sinai West. He is also Associate Professor of Dermatology at the Icahn School of Medicine at Mount Sinai. As Director of the Skin of Color Center, he is actively involved in advancing patient care, research, and education pertaining to dermatologic disorders that are prevalent in ethnic skin. Dr. Alexis received his medical degree from Columbia University College of Physicians & Surgeons and his Master of Public Health at Columbia University’s Mailman School of Public Health. He completed his dermatology residency at Weill Cornell Medical Center, followed by a fellowship in dermatopharmacology at New York University School of Medicine. Dr. Alexis has published more than 70 articles in peer-reviewed journals including the British Journal of Dermatology, Journal of the American Academy of Dermatology, and Archives of Dermatology among others. He has co-edited two text books on dermatology for skin of color – Skin of Color A Practical Guide to Dermatologic Diagnosis and Treatment (Springer Publishing 2013) and Ethnic Dermatology: Principles and Practice (Wiley-Blackwell 2013) – and authored 10 book chapters. Dr. Alexis has held numerous leadership positions in professional organizations including Past President of the New York Academy of Medicine Dermatology Section, Secretary/Treasurer of the Skin of Color Society and Chair of the Diversity Task Force Committee for the American Academy of Dermatology. 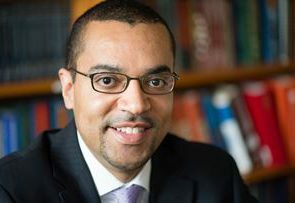 He currently serves as President of the New York Dermatological Society, Chair of the Scientific Committee of the Skin of Color Society, and is a member of the Board of Directors of the Cicatricial Alopecia Research Foundation. Dr. Alexis has appeared on ABC, CBS, NBC, and FOX television news programs and has been quoted in numerous leading publications, including the New York Times, Wall Street Journal, Forbes, Allure, and Essence. He is listed in Castle Connolly’s Top Doctors ™ and Super Doctors®.